The Genesis Mobile Redirect plugin allows users to set a diffrent homepage for mobile devices. Set a different homepage for smartphones or for smartphones and tablets. You can also set your own max browser width. 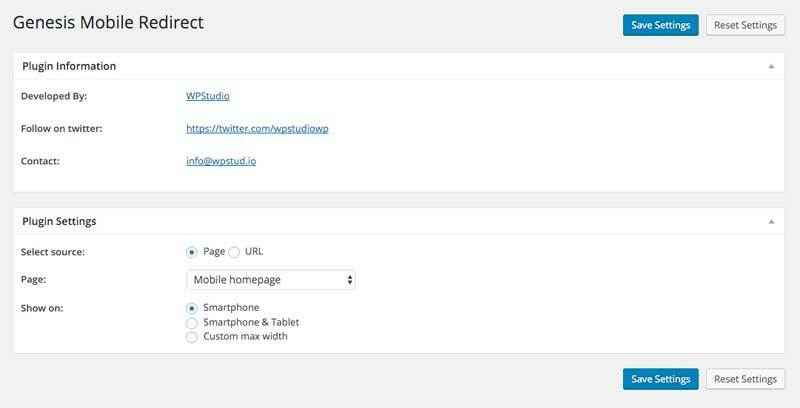 For the Plugin settings navigate to Genesis -> Mobile redirect.